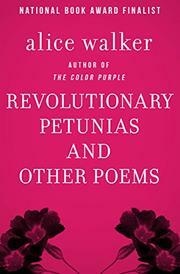 Like Nikki Giovanni in her gentler moods, Alice Walker can evoke a whole realm of experience with the soft black inflections of a simple statement. She generally says most by implication, and her best poems have a wonderful unelaborated integrity -- ones about her country childhood, for example -- as if, having proved good in her memory, they require no more than selection and balance. This is, when you think of it, quite enough -- the selection will be either convincing or not, the balance hit or missed, and there is no fudging. A hard way to work, but, as we see in "Expect Nothing" and "Nobody's Darling," poems about disappointment and self-sufficiency, it is a matter of temperament as much as technique, a basic reserve. This explains why her less successful poems ("Eagle Rock" for example) strike us as more false than bad; and, in another way, it illuminates the skeptical ironies of the revolutionary pieces and a kind of willed dissolving in the love poems. Brightly sensate, true to a definite, attractive mind.